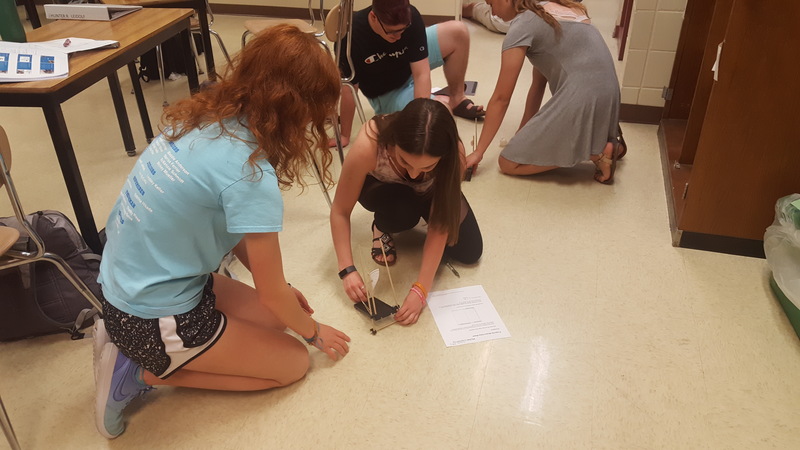 The significant ratio of girls to boys in technology fields is an issue that is present all over the country, and this evidently does not exclude the West Bend High Schools. There is a significantly smaller number of females than males enrolled in WBHS technology classes, with the exceptions of digital media and graphic communications. One notably divided class is engineering. Zautner, an East senior, is enrolled in Engineering Design and Development, which consists of 3 girls and 12 boys. While she does not feel unwelcome in her class, she does feel her motivation is affected. “It makes me want to try harder to prove I’m good enough to be in the class,” Zautner said. Zautner also believes that girls should not be afraid of pursuing the engineering field if that is something they really want to do. Technology teachers Ryan Johnson, Michael Bentdahl and Rob Willmas have also noticed the significant gender division. Johnson, who teaches engineering, has witnessed the division first hand and has ideas on why there is one in the first place. Willmas, teacher of construction, architecture, and engineering, believes that both genders have important parts of technical jobs and each have their own natural strengths and weaknesses. He acknowledges that females often possess different mental qualities than males, some of which are necessary in workplaces. “Females are often much more attentive to detail, and much more attentive to the process,” Willmas said. Brittany Peters, East sophomore, catapults ping pong balls to determine velocity as East senior Sofia Serrano looks on. Today’s activity was part of Ryan Johnson’s Principles of Engineering class. Johnson agreed that males and females use different important strengths to their advantage, and that a healthy combination of both genders working together is crucial to success. “The more diverse a group is, the better the chance of it being successful,” Johnson said. The technology teachers shared ideas they believed could increase the number of females enrolled in technical classes at WBHS as well as across the nation. Bentdahl, a digital media teacher, said that breaking the stigma of a male-dominated profession could help bring in female students if it is broken at a younger age. Johnson suggested that celebrating positive female role models in the field might inspire young females. 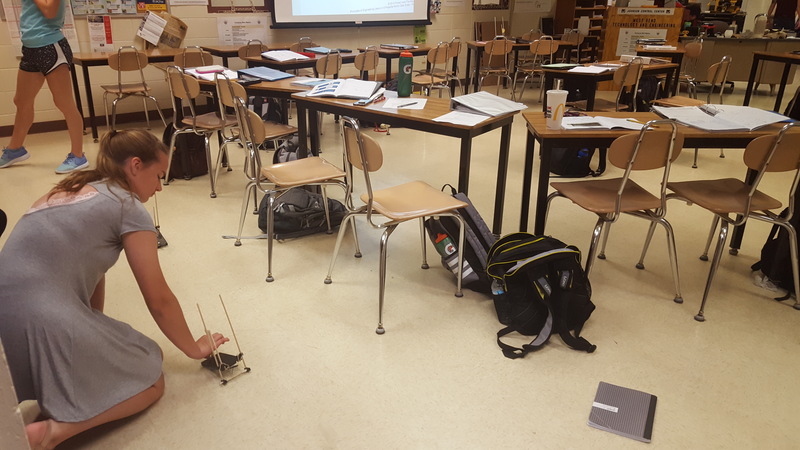 East sophomore Abby Gawrych took Principles of Engineering this year and thinks more female students should enroll in such classes. Gawrych believes that confronting certain stigmas around technology education in the early stages of a girl’s life can help. East school counselor Kara Phillips speculated that in American culture subtle messages are given to males and females, and that as a result, whatever messages individuals are exposed to determine those individuals’ comfort levels. However, Phillips noted the different activities that WBHS does in an effort to combat the gender gap. Phillips says that students are invited to the WBHS College & Career Center, called the Hub, to hear about different offerings. She has faith in female participation in technology education. “I have seen strong women get involved in tech ed courses and found great success,” Phillips said.